Vincenzo’s Dublin period is difficult to pin down, but writers have frequently asserted that he met Richard Tobin, a native of Cork who was employed by Thomas Perry in 1789, while working in Dublin and correspondence from Dr W. Graham dating from the early 20th century, now housed in the National Archives, Dublin, states that Vincenzo made instruments for the Duke of Leinster while in the city. 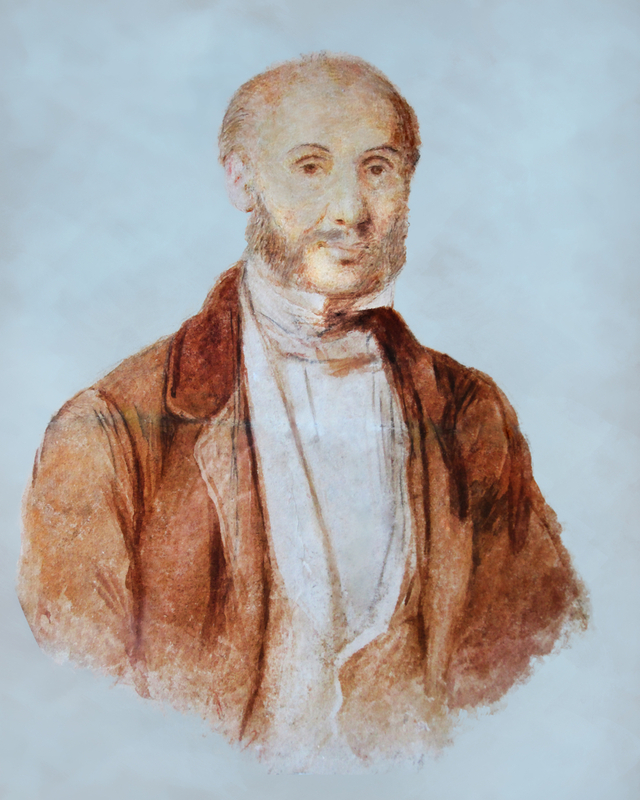 Vincenzo’s move to Ireland may have resulted from a connection with the Parisian maker Claude Pierray, who is believed to be related to the Perry family through a descendant who moved to Kilkenny. 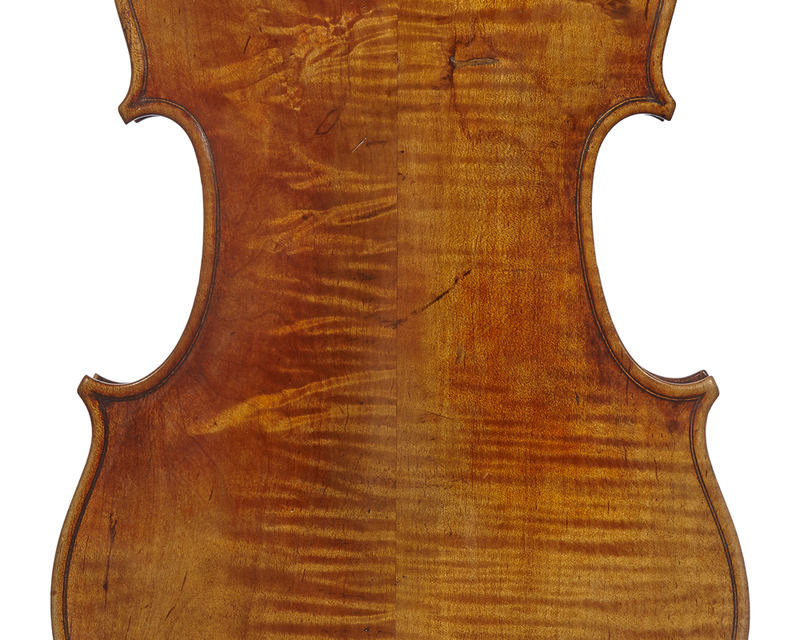 In 1741 Thomas Perrie, or Pierray, opened a violin shop in Dublin which his son, Thomas Perry Jr, continued. Vincenzo is also listed as working in Cork in John Teahan’s A List of Irish Makers published in the Galpin Society Journal in 1963, but no evidence is given as to the source. However, further support is provided by a letter from the granddaughter of the Cork instrument maker Bartholomew Murphy. She states that Vincenzo worked in Cork for Murphy for three years from 1797, and that he made many violins, violas and cellos there. This was a time of growing anti-French sentiment in London as fears of a Napoleonic invasion spread, leading to many arrests. Perhaps Vincenzo felt intimidated in the same way as Viotti, who had fled in 1798 to Hamburg. If Vincenzo was in Ireland at this time he would have experienced further turmoil influenced by the revolution he had so recently escaped from in Paris. In 1791 the Society of United Irishmen dedicated to an independent Ireland was established; war broke out between England and France in February 1793; and as tensions rose France launched a Expédition d’Irlande in December 1796, landing 14,000 troops in the south-west in their support. It failed and martial law was established the following year but by mid-1798 rebellion was raging in the south-east of the country. Perhaps a cello recorded in the National Archives, Dublin, bearing a manuscript label stating ‘Vincenzo Panormo/fecit Kilkenny/Irelande, 1799’ charts Vincenzo’s return from Cork to Dublin. Whatever the exact timing, it is in Dublin that, according to Francesco, Vincenzo made instruments from the wood of an old billiard table, resulting in those made from this distinctive wood being ascribed to this period. It is unclear if Vincenzo’s sons accompanied him to Ireland but the family undoubtedly forged strong ties with Dublin. Francesco was to put down roots there a couple of decades later; Joseph’s son Edward Ferdinand appears to have worked there in 1834; and five years later George’s sister in Dublin complained that some money she had posted to him in Liverpool had not arrived. After the Act of Union between Britain and Ireland at the beginning of 1801, much of the focus of Irish society transferred to London. Many craftsmen also moved to London, by then the largest city in Europe, and it would be no surprise to discover Vincenzo doing the same. 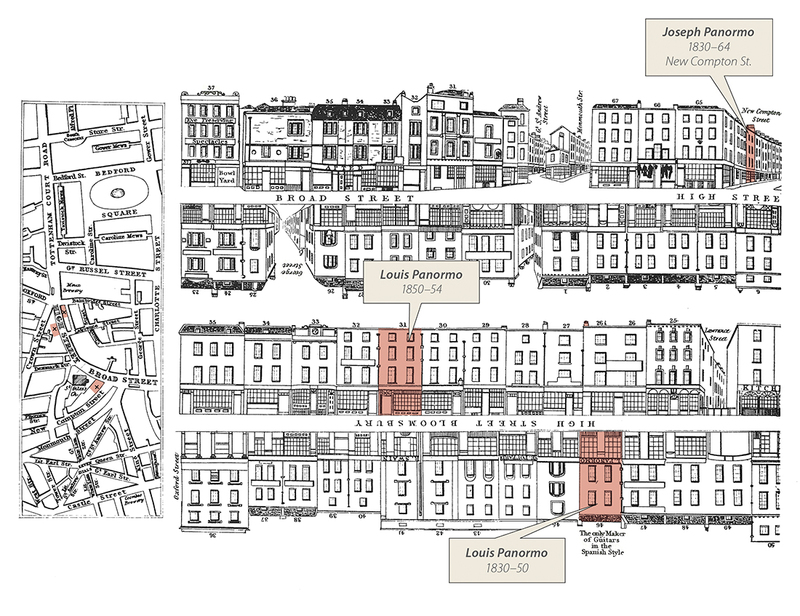 Certainly at the beginning of the 19th century Francesco, Joseph and George were all recorded as residents of the parish of St James’s, Piccadilly, and it seems most likely Vincenzo would have been in London with them. 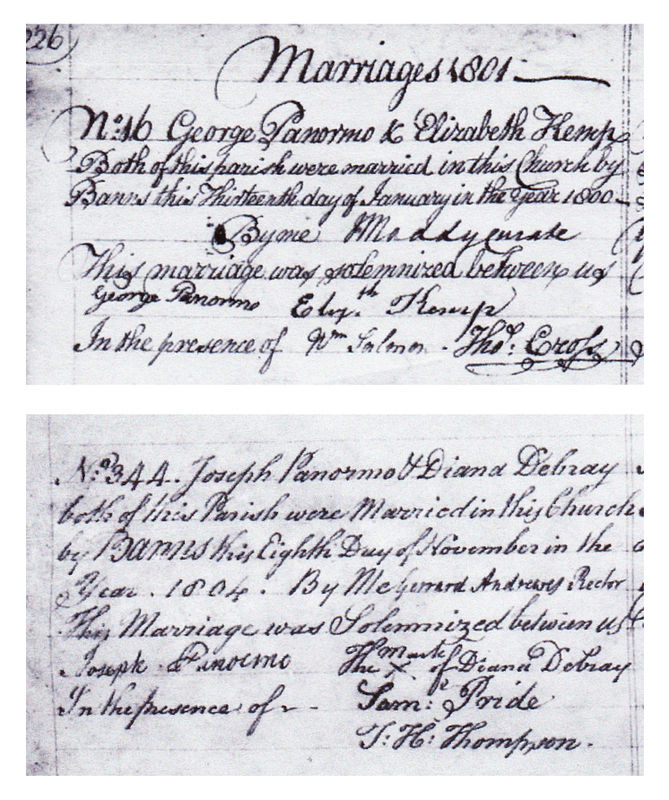 On 13 January 1801 George’s marriage to Elizabeth Kemp is recorded at St James’s. By this time Francesco would have been in his mid to late 30s while Vincenzo would have been 66, Joseph about 33, George 24 and Louis 16. With the exception of Francesco, all the sons had presumably remained active in the family business during the latter part of the 18th century but there is evidence that Joseph had gone his own way by 1800, leaving George and Louis as Vincenzo’s main assistants. 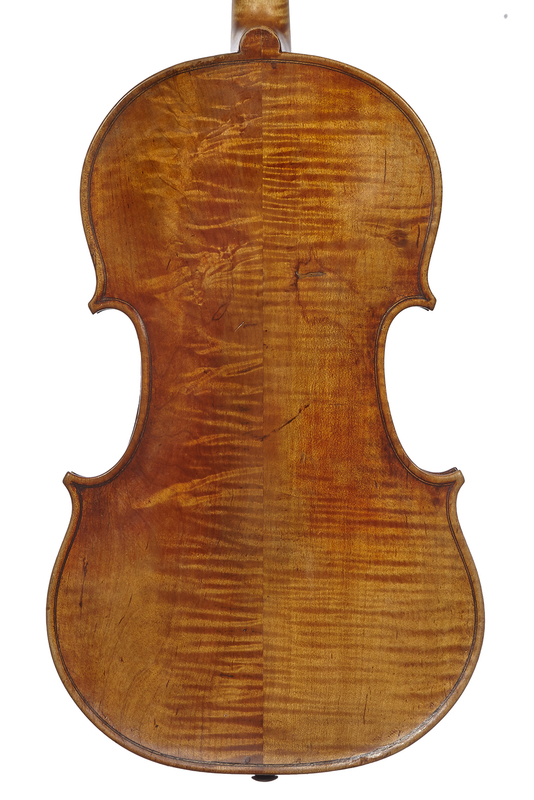 He may have already been working independently in New Compton Street, the address given by Sandys and Forster and recorded in a violin dated 1799. On 14 August 1801 Joseph signed a receipt for repairs undertaken for the double bass virtuoso Domenico Dragonetti, then in 1802 he is listed with no reference to other family members in a trade directory at 3 Portland Street, just around the corner from Francesco. On 8 November 1804 Joseph also married in St James’s, his signature matching that sometimes seen inside his violins. By then George had moved several miles east when on 16 December 1801 his son of the same name was baptised at St Sepulchre, near Newgate. Sadly, the baby George was buried there the following year but intriguingly the parents’ address was given as Leonard Street, Shoreditch, a village only a mile north of John Betts’s shop at the Royal Exchange. St Sepulchre is close to Newgate prison where the violin maker Lockey Hill was executed in 1796 for stealing horses. 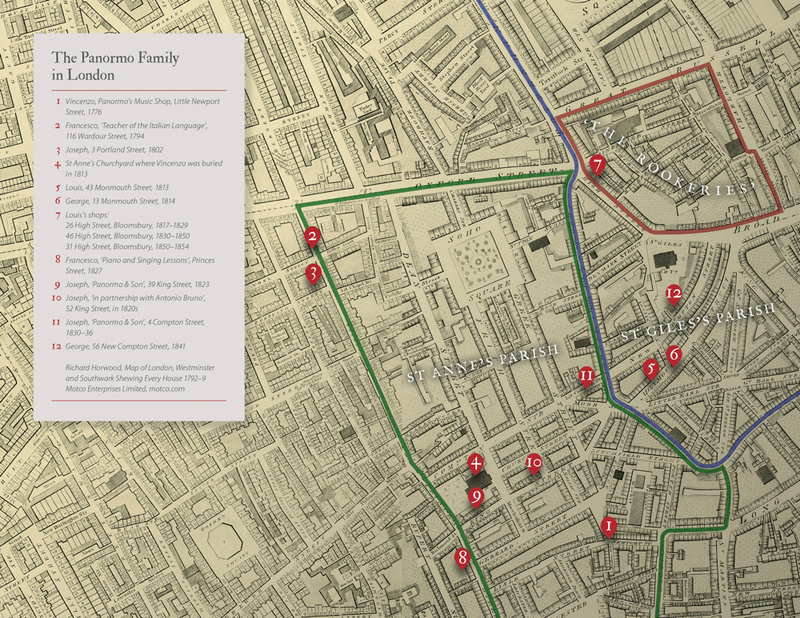 His son, Henry Lockey, worked for John Betts in the early 1800s and Henry Lockey’s first two children were both baptised at St Leonard’s, Shoreditch, just along the road from where George Panormo was living. It has often been stated that Vincenzo also worked for Betts and if this was indeed the case it might well explain George’s move to an area that was a fair distance from the family’s traditional stamping ground of Soho. It also seems to confirm that the Panormo family would have known and worked with Hill. A further connection is with the Betts workman William Taylor, often mentioned as an assistant to Vincenzo and whose signature was discovered inside the front of a Panormo double bass. Meanwhile Vincenzo and his two youngest sons settled in the parish of St Giles in the Fields, on the eastern side of Soho, an area that had developed a reputation for poverty as early as the 17th century and was characterised in illustrations such as William Hogarth’s 1751 Gin Lane and Thomas Rowlandson’s 1794 comparison between the differing social classes titled St James’s St Giles’s . The most notorious part of St Giles was just north of St Giles Church and High Street, Bloomsbury, where Louis was later to open his shop, and at the eastern end of Oxford Street. 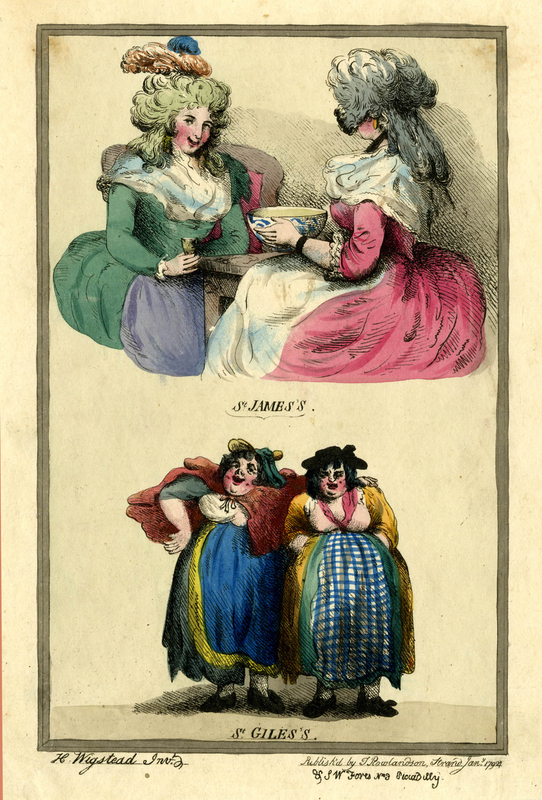 Nicknamed the Rookeries, it contained some of the worst living conditions in London and was depicted in Johann Heinrich Ramberg’s 1788 Humours of St Giles. Vincenzo was still living in Soho at the time of his death aged 79. He was buried in St Anne’s Churchyard on 19 March 1813 but was described as a resident of St Giles. Francesco (now known as Francis) had moved close to the Middlesex Hospital, north of Oxford Street. He moved to Dublin between 1818 and 1821 and for a further five years from 1823. It was there that one of his sons, Constantine, became a noted sculptor before Francesco returned to London for the last time in 1827 to live at 42 Prince’s Street, Soho, where he continued to advertise his compositions, as well as offering piano and singing lessons. Joseph was the least settled of the brothers, frequently moving to different addresses around Soho. He was living in King Street when Vincenzo died and advertised from no. 39, joined by his 11-year-old son Edward Ferdinand as ‘Jos Panormo & Son’ from 1823. He also went into partnership, probably during the 1820s, with Antonio Bruno, subsequently known as Anthony Brown, making guitars at 52 King Street; their joint label refers to them as ‘makers to the celebrated Mr Sor’, the famous virtuoso who quit London in 1823. The trade directory listing as ‘Panormo & son’ continued at 4 Compton Street from 1830 to 1836, although Edward Ferdinand is also listed independently at this address from 1832. Bruno had also established himself independently in Dean Street by 1836. Vincenzo’s younger sons George and Louis remained where they were living when Vincenzo died in 1813 and seem to have enjoyed a close relationship. Louis remarried in the church of St Giles in 1813, giving his address as 43 Monmouth Street and was witness to George’s second marriage in the same church the following year, George’s address being 13 Monmouth Street. Louis, who claimed to have taken British citizenship, turned to manufacturing the newly fashionable guitar. The earliest known label of ‘Panormo Fecit/London 1816’ inserted in an early guitar by Louis is identical to that used by George around this time with the addition of the letter ‘G’ written in front of the printed ‘Panormo’. Louis ran a shop at 26 High Street, Bloomsbury from 1817. This street became known as High Street, St Giles in 1830 and in 1847 he moved to 31 High Street, St Giles, from where he advertised bows and violin family instruments, including those made by other members of his family. According to Harrison, Louis employed his brothers Joseph and George and their sons, Edward Ferdinand and George Lewis, as well as his own son Charles (although this is so far the only source to suggest that Charles Panormo worked for his father) and two apprentices, Thomas Ambry and George Middlewood. Louis also sold bows traditionally believed to have been made by members of the Tubbs family, but recent research by James Westbrook has revealed that George Middlewood is noted in the 1841 census as a ‘violin bow-maker’. Westbrook also suggests that Ambry is actually the guitar maker William Hanbury, whose instruments strongly resemble those by Louis. Louis was successful enough to have his portrait painted. In what appears to be preparation for retirement, he advertised the sale of a number of instruments in The Times in 1853 before emigrating to New Zealand in 1859, where he died three years later. George was working in Liverpool around the time of Joseph’s death but he was back in London by the 1841 census (living at 56 New Compton Street with his wife and three children as well as two other families, suggesting impoverished circumstances) and died in 1852 at 14 Dudley Street. His son, George Lewis, who at times also referred to himself as a violin maker, succeeded to his uncle Louis’s guitar making business around 1855 and ran it until his death in 1877. With thanks to Tim Baker, Charles Beare, Pierre Caradot, Anne Houssay, Michael Jameson, Philip J. Kass, Catherine Marlat, Duane Rosengard, Giovanni Paolo di Stefano and Graham Wells. Recorded in the Hill Archives at the Ashmolean Museum, Oxford. Jenny Nex, Luthier and Thief, The Strad, August 2010. Stefan Manz, Margrit Schulte Beerbühl & John R. Davis (ed. ), Migration and Transfer from Germany to Britain, 1660–1914, K.G. Saur Verlag, 2007. Jerry White, London In The Nineteenth Century ‘A Human Awful Wonder of God’, Jonathan Cape, 2007. Richard Harrison, The Panormo Family, The Troubadour, Dec 1898. James Westbrook, Guitar Making in Nineteenth-Century London: Louis Panormo and His Contemporaries, PhD thesis, Cambridge University, 2012. Stuart Button, The Guitar in England 1800–1924, Garland Publishing, Inc., 1989. Tim Baker, John Dilworth and Andrew Fairfax, The British Violin, BVMA, 2001. Jordan Lancaster, In the Shadow of Vesuvius, A Cultural History of Naples, Tauris Parke, 2005. John Julius Norwich, Sicily, A Short History from the Ancient Greeks to Cosa Nostra, John Murray, 2015. Warwick Lester, Amico, The Life of Giovanni Battista Viotti, Oxford University Press, 2009. Christopher Duggan, A Concise History of Italy, Cambridge University Press, 1994. David Gilmour, The Pursuit of Italy, a History of a Land, its Regions and their Peoples, Penguin, 2011.